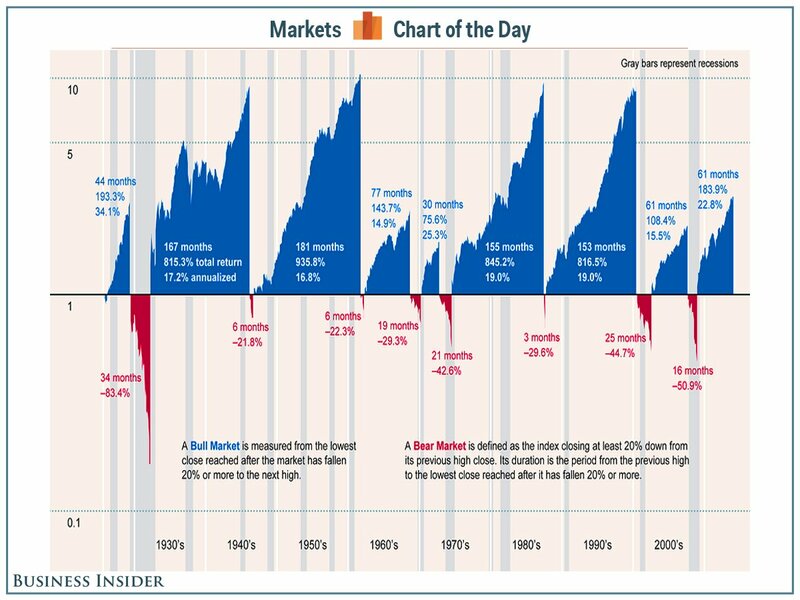 Here’s the best illustration we’ve ever seen of history’s bull and bear markets. This chart shows the performance of the S&P 500 Index from 1926 through September 2017. Blue denotes past bull markets’ durations and returns (total and annualized). Orange denotes the bear markets. 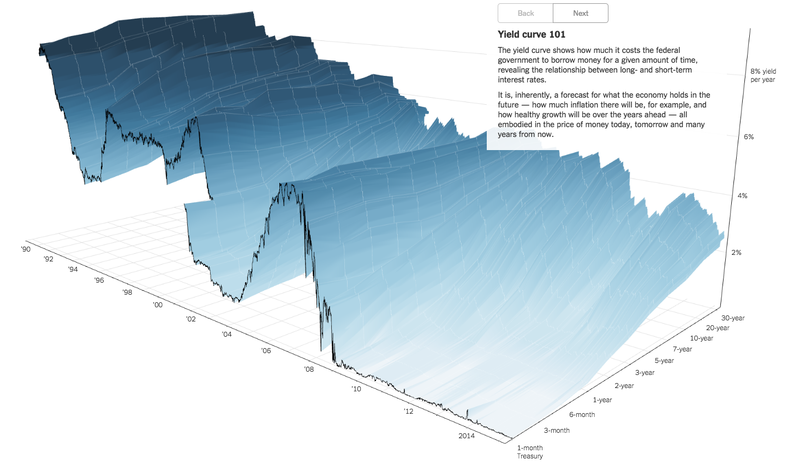 The pink vertical bars delineate recessions. There’s a lot more blue than orange meaning stocks tend to spend more time going up in value than going down. 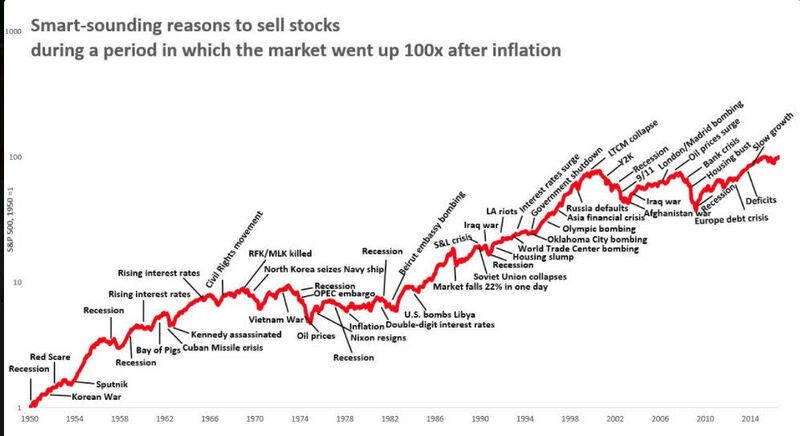 This is the best illustration we’ve ever seen of history’s bull and bear markets. 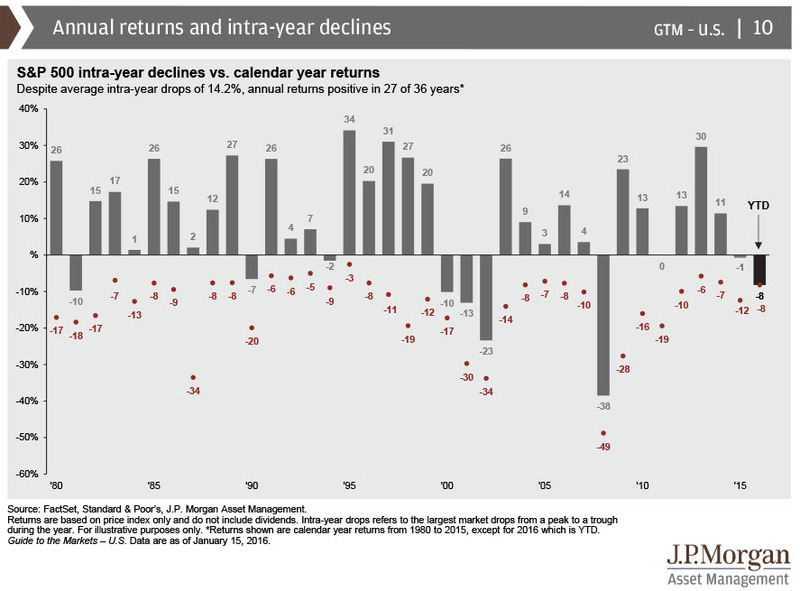 Blue illustrates past bull markets’ durations and returns (total and annualized). Red illustrates the bear markets. 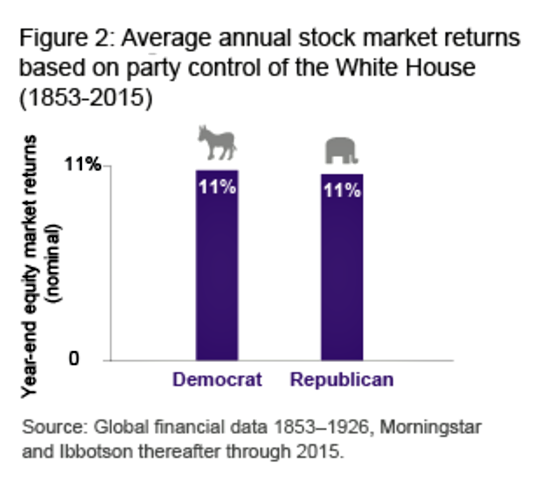 This was published in May 2014 so the current bull market is actually pushing 69 months. There’s a lot more blue than red meaning stocks tend to spend more time going up in value than going down. CNBC Core Viewership Drops to 20-Year Low — Why that’s a good thing! 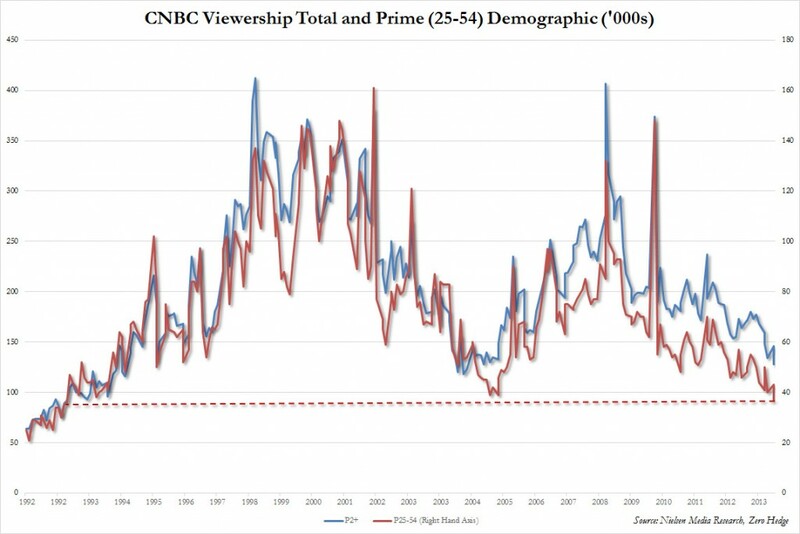 According to the latest Nielsen data, CNBC’s prime viewership (age 25-54 demographic) just tumbled to a fresh 20 year low of just 37,000, the lowest since March 1993. CNBC’s Fast Money (fell 32% vs previous year), Mad Money (fell 42% year-over-year) and Kudlow (fell 52% year-over-year) all had all time low ratings in the “all viewers” category in August 2013. This is good news for individual investors and their advocates because it means less people are being negatively influenced by CNBC’s misinformation. CNBC’s goal is not to make you money, but to sell advertising.They want you to live in fear and react to every little hiccup in the market so that you’re glued to their network in order to receive investment advice from their guests and anchors. But if you make just one move to improve your portfolio’s performance this year, it should be turning off CNBC. In fact, you should tune out most of the financial media. 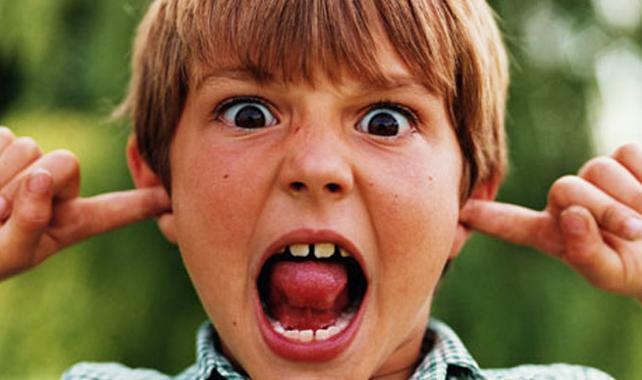 Or if the Bull Bear Sentiment Indicator switches from bullish to bearish. Your portfolio should be positioned to withstand good times and bad. You shouldn’t be jumping in and out of the market or sectors based on news, politics, the economy, or any other event.